The fast, convenient way to enter your vehicle with the unique manual emergency release! Our loading systems and ramps are the answer to the most diverse requirements. 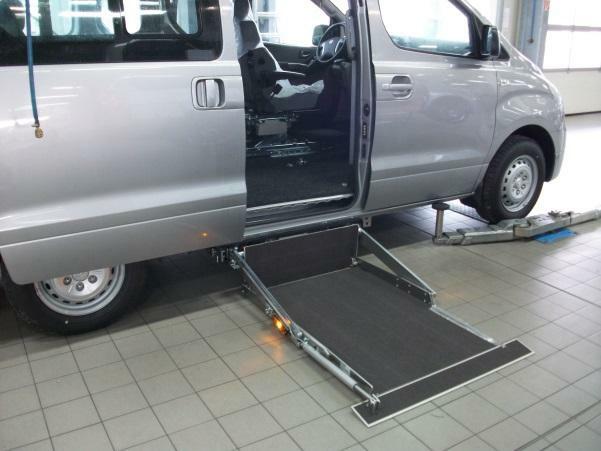 Depending on the wheelchair weight, available space and stability of the vehicle floor, we will install the right solution for you. You’ll be surprised! Ricon personal mobility products set the industry standard for innovation, reliability and ease-of-use. From the fold-in-half high-visibility KlearVue lift to the space-efficient Clearway model to the ultra lightweight and strong Uni-Lite, Ricon accessibility products are designed for 'DOT PUBLIC USE" vehicles and comply with all applicable regulations.